Looking at the clock, we see something more than just time. Both large wall clock in the kitchen or living room, and a small alarm clock beside the bed reflect your style and complement the decor. Instead buying new clock, just with little effort you can make a pretty simple and inexpensive clock to refresh your home interior. This handmade clock also suitable for a gift for our loved ones for a special occasion.. So, if you wish to have unique clock in your house, don’t rush in to the shop to pay some extra money for it, but take a look at our ideas how you can make your own clock. Enjoy! 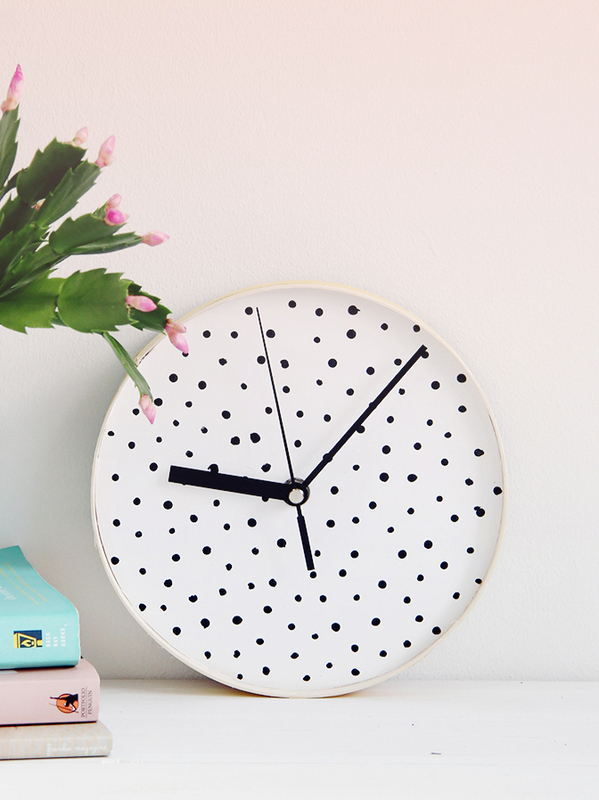 Give your clock a contemporary makeover with this dotty design. So simple and so pretty!